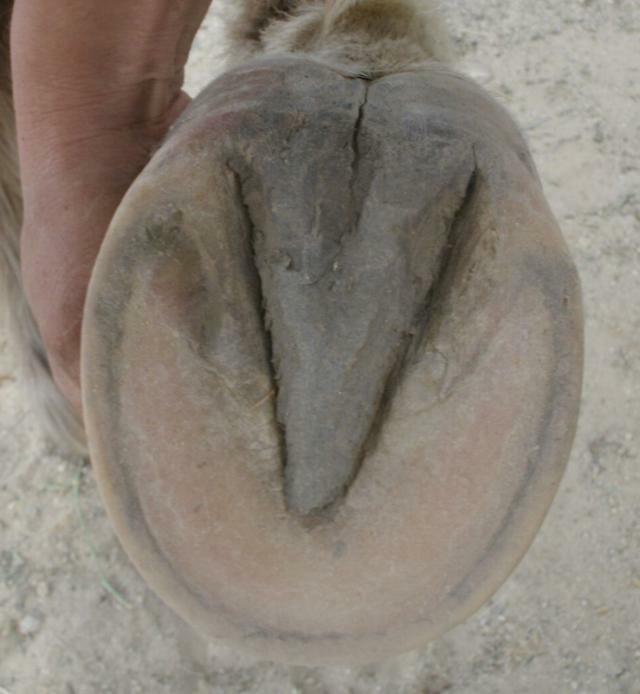 The most common cause of lameness in horses is found in the navicular area of the horse’s hoof. The terms Navicular Disease and Navicular Syndrome are often used to define navicular problems. Navicular problems are not a disease, they are man-made. The word syndrome is defined as a commonly recurring group of symptoms of unknown cause. The cause of navicular is known and therefore, the term “syndrome” is not correct. 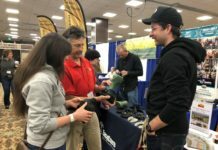 Navicular problems are man-made through improper trimming, short term or long term shoeing, improper diet or inadequate natural environment throughout a horse’s life. This improper care can cause problems in the navicular area of the hoof, not to mention huge problems with the entire horse. 1. To protect the joint and tendons from pressure and concussion. 2. To act as a valve for blood flow to the coffin bone and corium in the hoof. 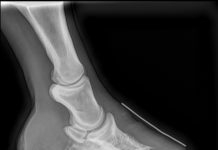 The navicular bone plays a large role in the overall health of the hoof and of the whole horse. Horses at high risk of navicular are usually confined or stall-kept, while at the same time having strong physical demands placed on them. In conventional treatments, navicular problems are temporarily hidden to preserve the horses usability. The underlying problem is not addressed. When the pain from navicular can no longer be hidden, euthanasia or a drugged up retirement are most often prescribed. Navicular probems are in no way a death sentence or a reason for painful retirement. Treating the problem with a proper natural lifestyle and correct barefoot trimming will prevent navicular in horses. 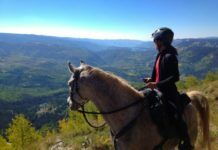 Transitioning a horse from horse shoes to natural hoof care, i.e. natural hoof trimming or barefoot trimming, is known to reverse the effects of navicular. Use of protective horse boots can also help your horse be pain free during this transition. The main treatment and prevention of navicular problems is to provide the best possible natural hoof care for your horse on a schedule, meaning every 1-4 weeks. Hoof care is one of the most important aspects of horse care. Ever hear the saying, “No hoof, No Horse?” Well, it’s the truth! Every horse owner or caretaker should fully understand hoof mechanism, proper barefoot trimming and how it affects the horse’s entire body and health. Shoeing is a definite road block in the prevention and healing of a horse with navicular problems and should not be used. You will see all of the damaging effects that horse shoes have on a horse’s overall health and longevity.